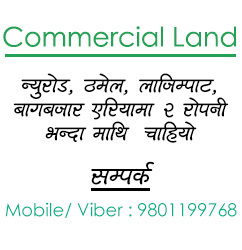 A well-superintend housing and flat is the place which is highly demanded by the people living in Kathmandu valley. At present, searching and renting the rooms and flat has become a bit easy for the people due to the availability of the websites and the helping agents. The websites provide the services to its customers with different charges. While renting a flat, you need to care about the proper facilities and the hygiene of the house. A good place and environment affect the healthy life of the person. People look for flat in different places of Kathmandu, Bhaktapur, and Lalitpur. You need to choose the best location for living and for the official use as well. The location defines the beneficial uses of the flat. The flat nearly 4-5 KM from the ring road is defined as the best for a living. Searching for the cheap flat for rent in Kathmandu is a bit hard for the common people. Our company, Mero Property provides the best service for seeking cheap flats with the best availabilities of facilities according to your demands and desire. Mero property has been providing the housing and construction facilities among the citizen of Nepal. We care about the needs and demands of the people and try to fulfill the customer’s demand with our best desire. This of one of the most demanded websites that allows us to search for the flat and rooms for rent mostly in Kathmandu, Bhaktapur, and Lalitpur. We give you the whole service for the flat in rent whether it is for the personal or official use. We search for the house, flat, room, residence and commercial buildings. We also give the full arrangement of apartments with the vehicle parking with the cheap price. Proper furnished and well-designed houses are the top priority of our service. We guarantee you about the quality of our service and give the best result for your demand. Contact us immediately and give us a chance to serve you.